Celestion Impulse Responses | Which Are The Best IRs for Metal? At first sight, it might seem as though the answer is the same as for “what are the best guitar speakers for metal?” So, you just have to find the best physical speakers for metal, find the equivalent IR, and you’re done, right? One of the pleasures of an extensive impulse response library is the ability to instantly switch between different tones to suit different styles of music, so it’s understandable to wonder exactly what are the best impulse responses for metal, rock, blues and so on. 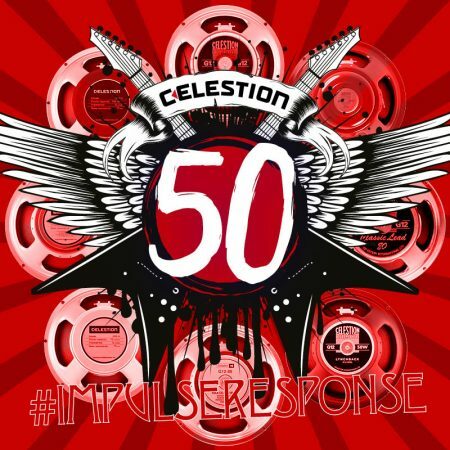 If you did just pick your favourite Celestion speaker for metal and then download the impulse response files for that speaker, you’re going to get a great sound, no question. So, if you’re in a hurry and just want to be in the right ballpark, just do that. But getting metal tone isn’t just about the speaker. There’s cabinet configuration to think about, as well as microphone type and position. In addition, within the realm of impulse responses, your range of tonal options is far greater – so let’s explore a little deeper. There is, of course, no definitive metal tone, but a whole range of tones to choose from. Everyone will have their favourite, and just about any noteworthy metal band from the late ’60s to the present day is known for a distinctive sound in some respects, whether it’s speaker tone, playing technique, combination of different guitars, rhythm, tempo and so on, resulting in a wide range of different metal styles and close derivatives including thrash, grunge, death, doom, speed, black and more. But, that said, let’s take a walk through some of the main elements that you can control through your choice of impulse response. There are a number of good options in the Celestion speaker range that are also available as impulse responses if metal is your goal. G12M Greenback – The M in ‘G12M Greenback’ doesn’t stand for Metal, but it almost could, as there are many aficionados of this classic speaker who swear by its punch and definition to deliver a properly aggressive, metal tone. One of them is the renowned Japanese metal guitarist Masaki Murashita. His shootout video featuring the G12M Greenback IR should be all the proof you need (see Listening Resources at the end of this blog). G12-65 – This is another serious contender that has some pretty solid metal pedigree (Metallica are reputed to have used them on their now legendary Master of Puppets album) and is ideal if you want to achieve an ’80s / thrash type of sound. Alnico Blue – We wouldn’t normally recommend the physical Blue for those wanting a strong metal sound, as this 15 Watt speaker isn’t really built for that type of power. But tonally, the Blue has a lot going for it when it comes to delivering a gritty sound that would work great for an industrial type of metal. So, using the Alnico Blue in IR form is a way to enjoy its distinctive tone without worrying about anything blowing up. Classic Lead 80 – Now available in IR form, we simply had to add the Lead 80 to our list of recommended impulse responses for metal. It’s ideally suited for lead or rhythm guitars with many of the qualities you need for a metal sound: super clear articulation even for fast shredding, as much aggression and punch as you could possibly wish for, and smooth, clean highs for those solos. It’s also common for lead players to combine the Lead 80 with a Vintage 30 in a 2×12 cabinet, so why not try mixing CL80 and V30 IRs together? G12-50GL Lynchback – Created especially for one of the most iconic metal guitarists of our time, George Lynch, the Lynchback deserves some serious consideration in your quest for some great metal tone. Based on the Greenback, the Lynchback offers just a touch more edge and aggression, as well as lots of detail for lead metal solos, and plenty of punch for rhythm playing too. A great choice if you’re looking for a classic ’80s/’90s ‘hair metal’ sound. G12T-75 – Also based on the G12M Greenback, the Celestion T75 has been a very influential speaker for many key metal guitarists over the past 30 years or so, from Glen Tipton and Yngwie Malmsteen in the ’80s through to Bill Kelliher and Jon Donais more recently. The G12T-75 offers a modern, industrial tone with aggressive mids, plenty of low end punch and nicely balanced highs, making it an attractive option if you’re looking for a sound which is both classic and contemporary. 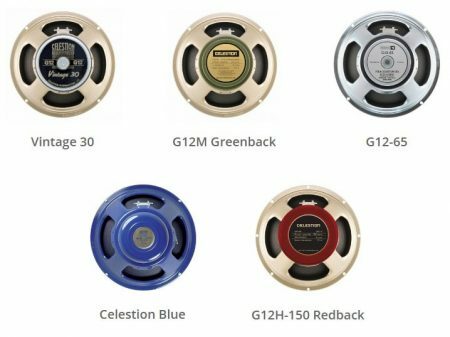 G12K-100 – The Celestion K100 (aka the ‘Monster of Rock’) is also very much a child of the eighties, created with modern metal very much in mind, by adding our heaviest ceramic magnet to the G12T-75. The result is a superbly tight and beefy low end for full on rhythm and grind – but retaining all the warmth and clarity of the T75. If the tones of Kerry King (Slayer) or Graham Pinney (SikTh) are your type of metal, the G12K-100 could be the IR for you. If you are only going to download one cabinet type, make it the 4×12. This will replicate the most popular metal cab arrangement which, in a physical setup, provides the level of power that metal guitarists are generally looking for. However, if you decide to get the complete IR pack for your speaker type (all five cabinet options) then be sure to check out the 1×12 and 2×12 options too if you want to experiment with a tighter, punchier sound. It’s hard to overstate the difference in tone that you can achieve simply by switching microphone, mic position and mic mixes. And it’s perhaps here where the benefit of using IRs becomes most obvious – the ability to very quickly combine and switch between different microphones to achieve effects that would be time consuming to do in a physical setup, or physically impossible. On our impulse responses you can choose between 3 main microphones – the Shure SM57, the Royer R-121 (ribbon mic) and the Sennheiser MD421. Each of the 3 main microphones has been recorded in 6 different mic positions (Balanced, Dark, Dark 2, Bright, Fat and Thin), giving 18 options, which you can blend as you wish. Your ‘go-to’ choice here if you don’t want to work your way through 18 variations or do any mixing, is the SM57, Balanced option – this will give you a warm, well-rounded tone for classic metal. But in fact, all the mic options have something to offer if you’re looking for a more specific metal tone, with each giving a slightly different feel. For a ‘tauter’ metallic sound, opt for Thin or perhaps even Bright. For a heavier tone that emphasises the bass, try Dark or Dark 2. You can also add in the Neumann TLM 107 room mic if you want to add some cavernous ‘doom’ quality to the mix. If you want some more mic options without the effort, we’d recommend using one our additional mic mixes that come with each cabinet IR. If you’re in a hurry, go straight for the R-121+SM57 mix (high gain option), which adds fullness and depth to the SM57 on its own. Once you’re in the right ballpark with one of the above speakers in a 4×12 cabinet, you can take things in any direction you want. Depending on the type of DAW or amp modeller you’re using, you can experiment further to achieve a tone all of your own, by blending multiple IRs together. You can combine different speakers, different cabinet types and different mics together, to complement your playing style, or maybe even create a whole new metal genre. As well as showcasing the G12M Greenback very effectively, this video demonstrates the massive change in tone achievable by playing with mic combinations. Includes demos of the Vintage 30, G12M Greenback, G12M-65 and the Alnico Blue.